The DJ barely visible behind the stage. Overcrowding on stage led in part to the shut down of Noche Latina at The Jolly Scholar. A student defecated on the third floor of Thwing Center; one passed out on the second. Students vomited and lay unconscious in the basement. The student-run Case Western Reserve University Emergency Medical Service took three intoxicated underage students to the emergency room. 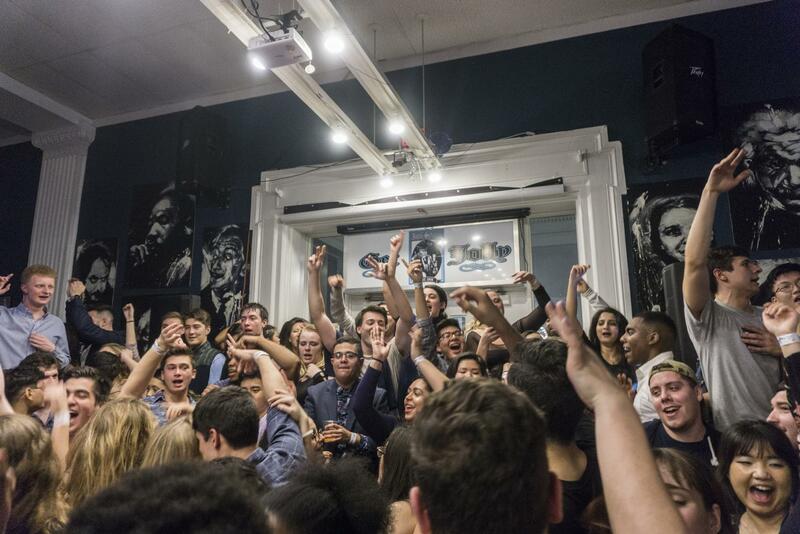 Last Saturday, Feb. 3, inside the Jolly Scholar, the semesterly event Noche Latina was going completely wrong after attendees—many underage—snuck in alcohol, overcrowded the bar and restaurant, piled onstage and began standing on furniture. The event ended early when police arrived after a Jolly Scholar security employee began trying to regain control over the crowd. The employee, who also works for Case Western Reserve University but was “off-duty,” yelled for individuals to get off the stage set-up and swore into a microphone. A student accused the employee of saying racial slurs to them when they interrupted him speaking. 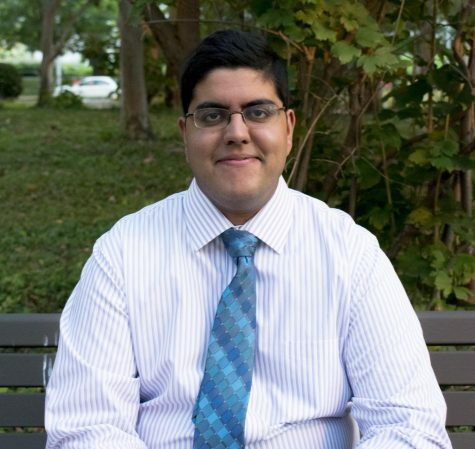 It is unclear if the student is a member of La Alianza, the organization that hosted the event. As of press time, no evidence of the slur was made available to The Observer. The student, who was intoxicated, had emailed a letter to administration with the accusations. According to an individual with second-hand knowledge, who wished not to be named, university leaders found the employee did not say any slurs. La Alianza was ready to respond to questions, but due to logistics could not as of press time. According to Vann, nothing similar has occurred in the past three years that Noche Latina has been held. He stressed his priority towards student safety. The event was scheduled to begin at 10 p.m. and end at 1 a.m., but it wasn’t until around 11 p.m. that a large portion of the crowd arrived. A Jolly Scholar employee and police officer who monitored the entrance to the restaurant asked attendees to show their ID before entering, and those attendees were given a wrist band if they were of drinking age, or if they were too young, a mark was made on their hand. Around 11:15 p.m., the two went to Thwing’s basement to help unconscious students. When the Jolly Scholar employee came back upstairs, around 12:15 to 12:30 a.m., he found that a wave of students had entered, and were crowding the DJ on the stage, who asked for help. “Later that evening, the crowd’s size swelled considerably—approximately three times the size of prior years—and included large numbers of individuals not affiliated with the host organization,” Demes said. Guesses provided to The Observer for the number of students present have varied, but most say the restaurant appeared at double its capacity. When the employee began telling people to get off the stage, La Alianza members got on the stage to speak with him. A heated discussion occurred away from the microphone, and at one point a student began trying to control the crowd by speaking into the microphone. According to the individual with second-hand knowledge, it was during this exchange that a student accused the employee of racism. That accusation was then spread to other student organizations on campus and online. The Jolly Scholar employee was asked to send out an apology. As of press time the apology had been drafted, but it was unclear if it was finalized and sent. Generally, the first floor of the building is locked at night, but was not during Noche Latina because attendees left their coats and bags inside. At the end of the hallway, a classroom containing expensive computer equipment was locked. Demes said the building had been cleared out by 1:45 a.m.
Biohazard had been called to the building for an initial clean-up, but had to return Sunday. According to Arlet Wright, the director of Thwing Center, there were no lasting damages to the building. However, it required much cleaning due to vomiting. According to the CWRU Police Blotter, two other alcohol-related ambulance responses occurred that night. The Undergraduate Diversity Collaborative had no comment. Eddie Kerekes, Director of Web and Multimedia, contributed reporting.